It's a Challenge to Meet Common Core State Standards! I attempted to place a comment on the Huffington Post but found one has to have a Facebook account. That limits open discussion. Here is what I intended to post. As a certified teacher, I support standards that increase the use of nonfiction in the classroom. I was a member of an in-service science education team from 1993 -2005. Our sessions were attended by teachers from many different school districts. One of the concerns we frequently heard from K-5 teachers, both new ones and experienced ones, was how little their teacher education program had done to prepare them for teaching science. Yes, they had learned a lot of facts and a lot of concepts. Taking physics, chemistry and biology 101 sounds good in theory, but did little to help teachers bring science to life for their students. The nonfiction books advocated by Mrs. Cobb provide a spark that never existed in science textbooks. That's why teachers excitedly shared titles of great nonfiction books during our in-service. 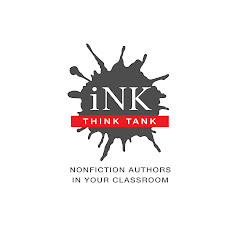 Nonfiction can be a catalyst and jumping off point for learning about new topics. Nonfiction can challenge students to be scientists by designing and preforming experiments. Finally, great nonfiction serves as a springboard to additional reading, research and learning. The combination of practicing and discussing science activities, having materials and learning about nonfiction books was a great combination. Teachers often left inspired. On the evaluation sheets, they wrote "I can do this!" Nonfiction books are a powerful tool. That is why standards encourage them. With time being a precious commodity, combining reading and science makes a lot of sense. Good teachers have always known this. As a certified teacher, I support standards that increase the use of nonfiction in the classroom. From 1993-2005, I was a member of an in-service science education team. One of the concerns we frequently heard from K-5 teachers, both new and experienced ones, was how little their teacher education program did to prepare them for teaching science. While they learned a lot of facts and concepts in physics, chemistry and biology 101, the courses did little to convey the curiosity and excitement essential to good science. This is exactly why good nonfiction books, as advocated by Mrs. Cobb, are so important. Nonfiction can be a catalyst and jumping off point for learning about new topics. Nonfiction can challenge students to be scientists by designing and preforming investigations and experiments. Finally, great nonfiction serves as a springboard to additional reading, research and learning. Nonfiction books are a powerful tool. That is why the standards are encouraging them. With time being such a precious commodity, combining reading and science makes a lot of sense. Good teachers have always known this.